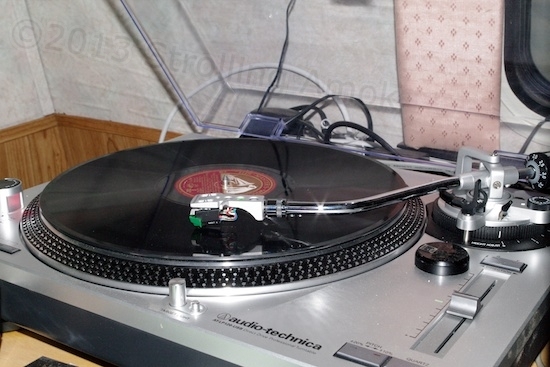 The transfer of records to digital is done: there were more than 290 LP albums, many of them double platters. Then there were 125 45 RPM records, and over 300 78 RPM records. Thats more than 715 albums, folks. If I’d known that before I’d started, I might have chickened out. It took awhile. But it’s over, and I’ve moved on to less glamorous and less tedious tasks. I’m still transferring my movie DVDs to hard drives when I get a chance. That’s a story in itself, in that it’ll fill most of two 3TB drives! There are somewhat more compact ways of going digital with movies, but I’m insisting on creating them in a format (.iso) which will allow direct transfer back to DVD, if needed at some point. Things happen to DVDs, and few of them are happy things. Wow! Quite an accomplishment! Good Job! Thank yew, thank yew very much! Nobody in their right mind would tackle such a job though. I’m just glad I didn’t realize how much there was do do ahead of time!